On your arrival at the airport of Bangalore, get an assisted transfer to the pre-booked hotel. Get freshened-up and leave for the tour of the city where you will visit the Tipu's Palace, Nandi or Bull Temple, an ancient South Indian temple, Ulsoor Lake, Cubbon Park, Lal Bagh, and Vidhana Soudha. Later, visit the art galleries and museums. Dinner and Overnight stay at the hotel. Post early morning breakfast, start your journey to Mysore. Enjoy the sightings of Ranganathaswamy Temple, Srirangapatnam-the capital of Tipu Sultan and Channapatna Toys Center during the journey. On arrival, check-into the hotel. Post lunch, leave for city excursion, covering Mysore Palace, an architectural marvel, Krishnarajasagar Dam and Brindavan Gardens. Dinner and overnight stay at the hotel. Post breakfast, Day is booked for city excursion. Today you will cover Zoological Gardens. It is rated as one of the best zoos in the country. Next in line is Shri Jayachamarajendra Art Gallery and St. Philomena's Church, erected in Gothic style. Do not miss visiting the temple at Chamundi Hills, dedicated to Goddess Chamundeshwari. She is the deity of the royal family of Mysore. Evening journey to Ooty “the Queen of hill stations’. On arrival, check into the hotel for overnight stay. After breakfast, the day is booked for exploring the beauty of Ooty. Visit the Botanical Gardens, with a peaceful Lotus Pond then cover Dodda Betta. It is the highest peak of this hill resort. 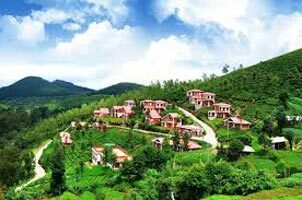 Other attractions are the tea estates, Lamb's Rock, Dolphin's Nose (a picnic spot), Ooty Lake, Catherine Falls and Kodanadu's View Point. Dinner and overnight stay at the hotel. Start your early morning road journey to Bangalore. On arrival, get transferred to the airport to catch a flight for an onward journey. 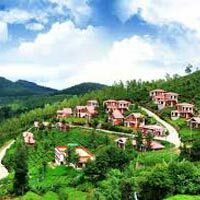 At Indian Holiday, you can book online Bangalore Mysore Ooty Tour and other tour packages for South India.